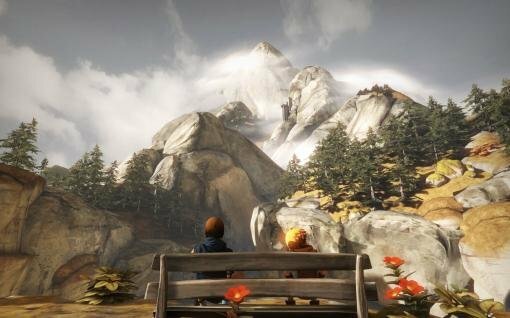 If you’ve have had the opportunity to play Brothers: A Tale of Two Sons since its release in 2013, there is a good chance that its emotional impact has stuck with you for a long time. 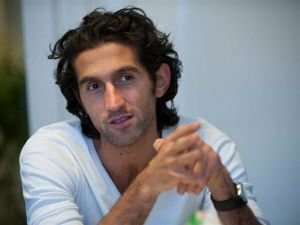 The game happens to be the brainchild of Josef Fares, who was already an acclaimed film director by the time that he and Starbreeze Studios started collaborating on Brothers. For his next gaming project, Josef and his newly-founded company Hazelight are working on a story-driven co-op game named A Way Out, which is to be published by EA and released for PC, PS4, and Xbox One in early 2018. Recently, I had the opportunity to conduct a lengthy Skype interview with Josef to have a look back on Brothers, discuss what to expect from A Way Out, and talk about his game development and filmmaking experiences. As you’re about to find out, Josef Fares is indeed a man with many talents. Ingmar Böke: Hi Josef, it’s great talking to you! Josef Fares: Great talking to you too, man! Ingmar: I’m a film fan, and some time before I had played Brothers: A Tale of Two Sons, I had bought the movie Jalla! Jalla! and loved it. However, I didn’t have any idea that the director of the movie was the same person who was responsible for Brothers, and didn’t know until right after I finished the game. That was a pretty awesome discovery! Josef: (laughs) Cool! I’m happy to hear that! It was a long time ago that I did Jalla! Jalla!, actually, but it was a lot of fun. It was a great time! Ingmar: Your personal story is a very interesting one. Please tell our readers a bit more about your background, and your family’s origins. Josef: I come from Lebanon. I was born in Beirut during the civil war, so we pretty much had to escape to Sweden when I was 10 years old. It was quite rough in the beginning to start over in a new country, but when I was 15, I bought a camera from a friend’s father, and then started making these short movies. Shortly after that, I knew that I was gonna work with that. During the shooting of my first (full-length) movie Jalla! Jalla! I was 22, so I was quite young when I made it, and it became a big hit. That went on for quite some time, but during that time I always loved to play video games. At some point, a friend of mine asked me if I wanted to make a demo with some of his students for six weeks in the summer. I instantly said, “yes!”, and here we are today. I made actually two demos, and I made Brothers. We have started the company Hazelight with the original team of Brothers, and now we’re making A Way Out. Ingmar: I saw an interview with Danish actor Mads Mikkelsen not too long ago. In that interview, he talked about how his life changed when he first saw Robert de Niro in Taxi Driver, and realized he wanted to become an actor. Did you have such any such defining moments when it comes to your filmmaking? Ingmar: You didn’t turn into a game designer overnight. Please talk about games that shaped your interest in development. Josef: Well, first of all, my perspective on making games is that I want to make games that I want to play. And, also, I feel that there is so much innovation that can be done from a creative perspective. I always want to try to go outside the box – not go all crazy; I still want to make appealing games that people want to play, but give them a different twist, a different way of playing them, and so on. But for Brothers, I mean, all of the top-down RPGs I really love would be one of the inspirations, Zelda: A Link to the Past, Chrono Trigger, Secrets of Mana – at least when it comes to the top-down perspective. But the other thing is my urge for innovation, trying to do something different. That’s something I’ll always do with Hazelight, and everything I’ll do in the future, actually. I truly believe that there’s a lot of stuff that hasn’t been discovered yet, and it’s a very exciting industry we’re living in. I’m a passion-driven man; it’s the passion that keeps me going, so it’s very important that I believe in what I do. Ingmar: Regarding Brothers, at what point during the creative process did you come up with the decision to use a non-verbal language? Josef: The focus for me was the interactivity in games, and that was a game where I quite quickly realized that, you know, we don’t need voices to understand what’s going on. Through body language, it’s almost like the language itself becomes an interactive aspect of the game. It’s almost like you have to look even closer and read their body language, and you’re more involved in the cut-scenes. That’s pretty much one of the reasons. It’s more of a fairy tale story, and I think that a good story is a good story even if you can’t understand what’s going on. It’s almost like when my parents watch a movie, and they don’t understand it, but they still think it’s exciting. Another reason was also that budget-wise we couldn’t afford to have voices. But I didn’t want that anyway because it was decided quite early not to have voices. Ingmar: That approach also left room for me to fill things in my mind. Josef: Yeah! It’s interesting because a lot of people have reacted to the story in Brothers, and there is really nothing said in Brothers. I mean, I have a story, obviously, but there is not a language that anybody understands. Ingmar: You mentioned your focus on interactivity. That approach is particularly interesting for someone with a background in filmmaking. Josef: Oh yeah, yeah, yeah! Also in A Way Out, I try to give one player control, while the other one has a cut-scene. I mean, of course, you’ll also have regular cut-scenes, but we try to give players as much control as we can. I believe that when you have the controller on the table, not in your hands, that’s a problem. It’s the interactivity that makes games great, not the passive mode. Ingmar: Your movies and games touch upon a palette of very different emotions that we all know from our individual lives. Is this something you think about during the creative process or does it happen by itself? Josef: I think it happens by itself. I’m kind of like that as a personality. I mean, I like to have fun and joke around, but I also have a very serious side. But I think it is also what life is. Life isn’t just about seriousness and hard times. Even if you’re in the worst stages of war, you have moments of fun. I think the comedy aspect is part of our life in general. It’s gonna be the same with A Way Out. I would say there is definitely a humoristic tone to it as well. Thank you very much! It is a unique situation for me to do an interview with someone I appreciate as a game developer AND as a film maker.